The 2015 Swiss Carnival Season is Here, Find Out Where! GENEVA, Switzerland – Carnaval, carnival, fasnacht, karnivale and brandons are some of the names by which the festive season of street celebrations filled with parades, brass bands and masquerades, that usually take place before Lent, have begun in Switzerland. While most celebrations take place before Ash Wednesday, many take place during the Lent period such as the Basle Fasnacht —the largest in Switzerland—with more than 15,000 people crowding the streets during a four-day celebration which begins at 4:00. Geneva does not have a carnival but many cities around the Lake Geneva area do, with many holding Venetian-style celebrations worth a visit. Here’s the list for the 2015 carnivals. The list is sorted by start date and length. Take into consideration that almost every town in the Italian-speaking canton of Ticino has a carnevale. Enjoy! 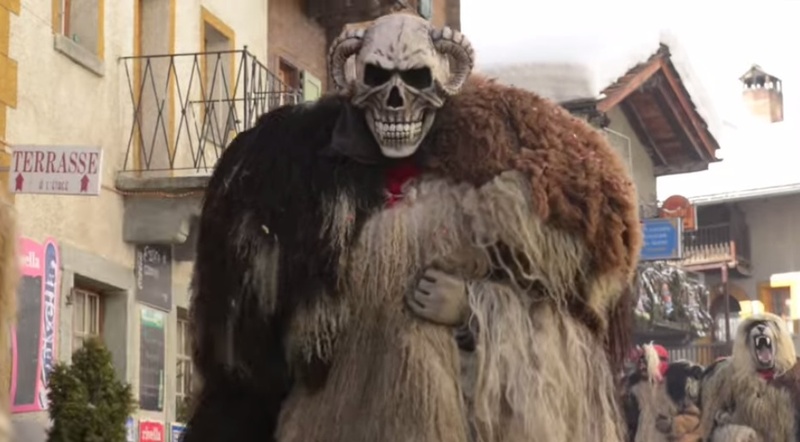 11-17 February, Carnaval d’Evolène (Valais) – one of the most traditional whose roots can be traced back to the Middle Ages. Photo, screen capture of the Carnaval d’Evolene taken from François Perraudin’s YouTube video featured above. Photo featured, courtesy of the Carnaval Vénitien d’Annecy. Do you have the 2016 list of dates or know where to get it? Thank you so much.